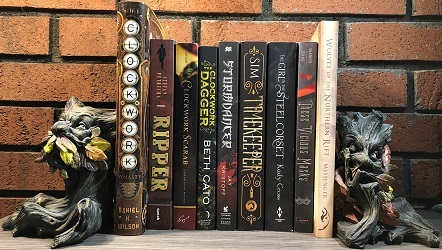 We are heading into the second month of the parasolverse Read-Along. The book for September is Curtsies & Conspiracies If you are still interested in joining along wonderful! In this sequel to New York Times bestselling Etiquette & Espionage, class is back in session with more petticoats and poison, tea trays and treason. Gail’s distinctive voice, signature humor, and lush steampunk setting are sure to be the height of fashion this season. this series only has 4 books. If you want to pick up Soulless in January you can. I absolutly love Souless. And there is an illustrated version of Soulless coming out this month!